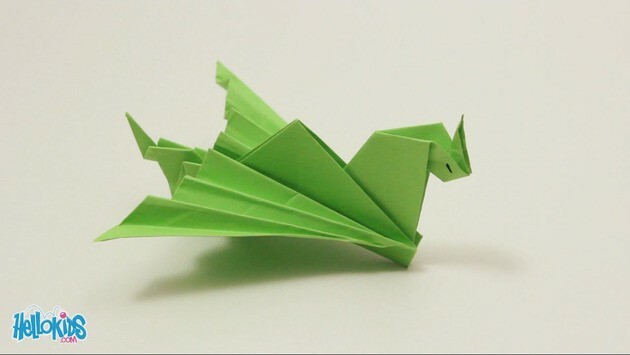 In this tutorial, you will learn how to make a simple version of the origami dragon. 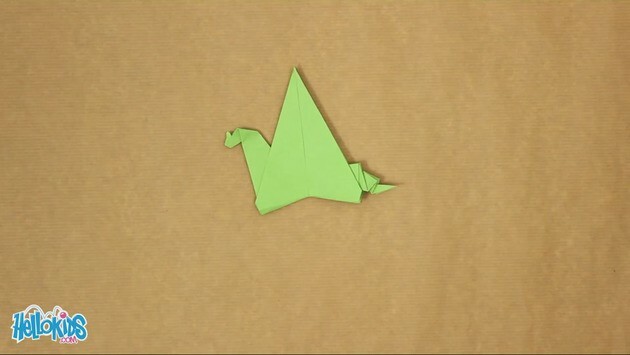 It is adapted from the famous paper crane. 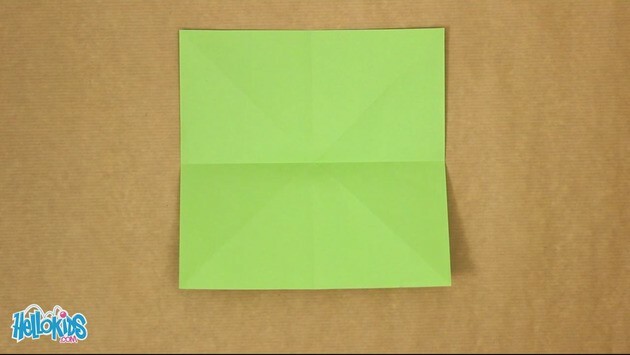 First of all, fold you piece of paper on both diagonals and open it again. 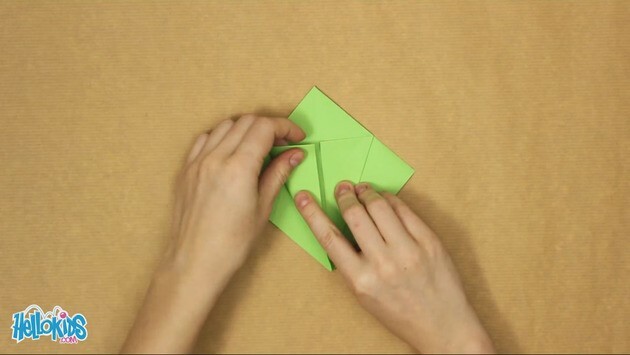 Turn over the piece of paper and now, fold it horizontally and vertically, and open it again. 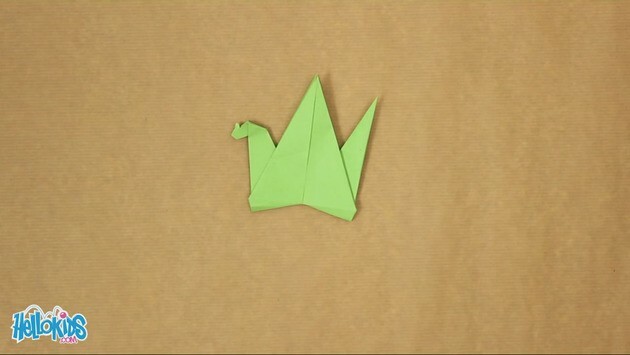 Now you can join two opposite corners, and flatten to make a little square. 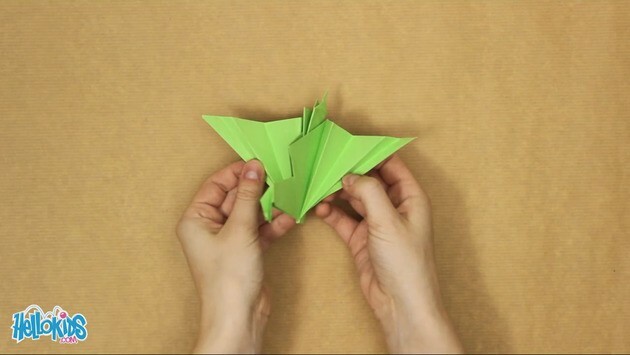 Have the open side in front of you, and fold inside both sides up along the vertical line. 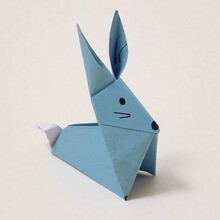 Fold the top corner down. 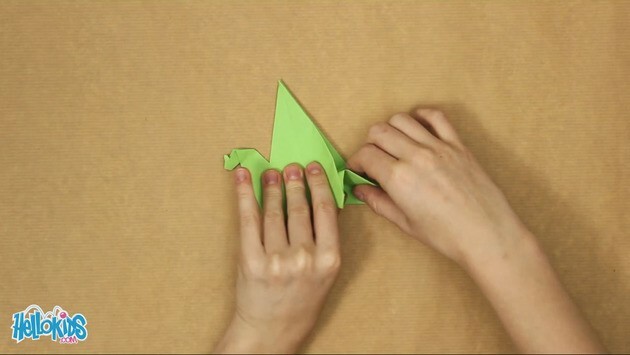 Unfold these last three steps, they will help you for the next one. 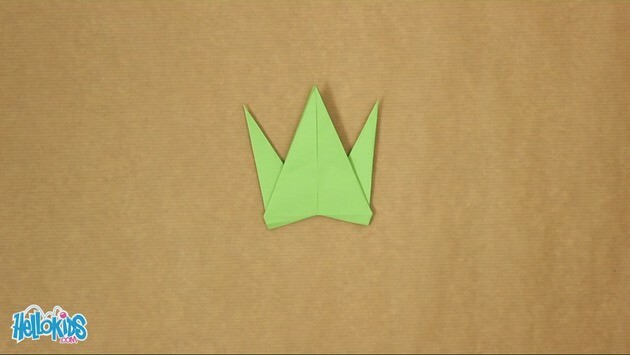 Fold up the upper layer of the bottom corner, flatten to obtain a diamond shape. 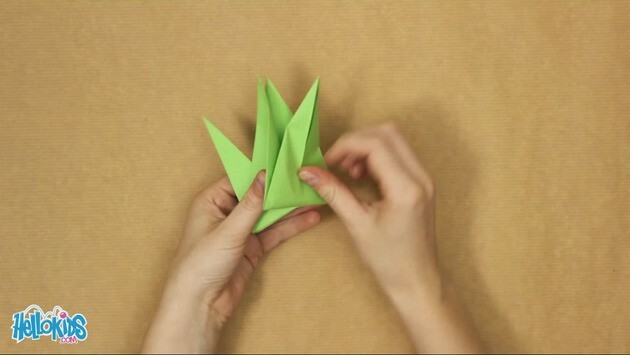 Turn over the origami, and start over the last 4 steps. 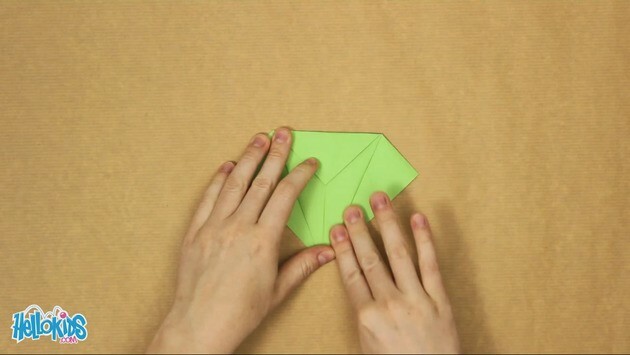 Open one side of the diamond shape, and fold up its bottom end, a bit on the side, and flatten again. Start over on the other side. Fold in the inside one of the end of the two last folds. 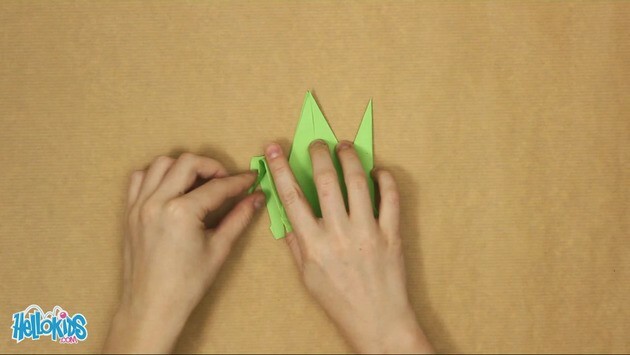 Fold back up the end. 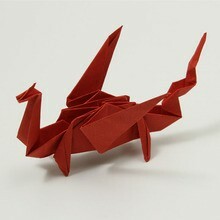 This is the head of the dragon, with a little horn. 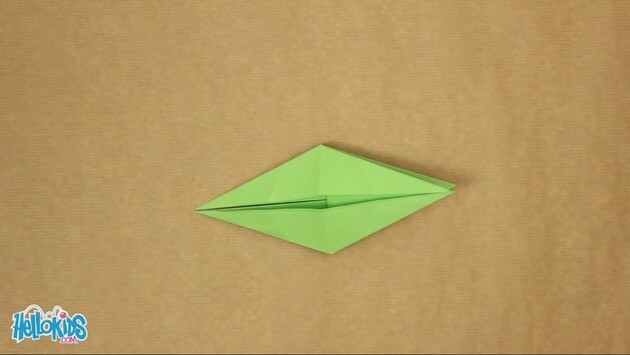 Fold the other end down inside, then up, and down again, until you cannot fold anymore. This is the tail. Now, the wings. 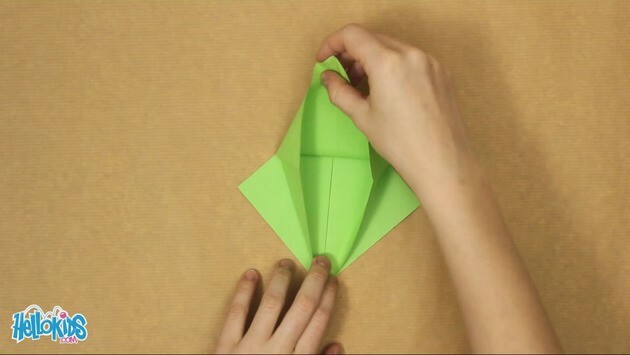 Fold into fans the two big triangles, and spread them. You are done with your dragon! 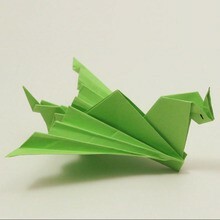 Give him eyes if you want, and some colors, to make him the most ferocious dragon!